The 500L Trekking, shown at the Los Angeles auto show, has a more rugged appearance than the standard 500L minivan. 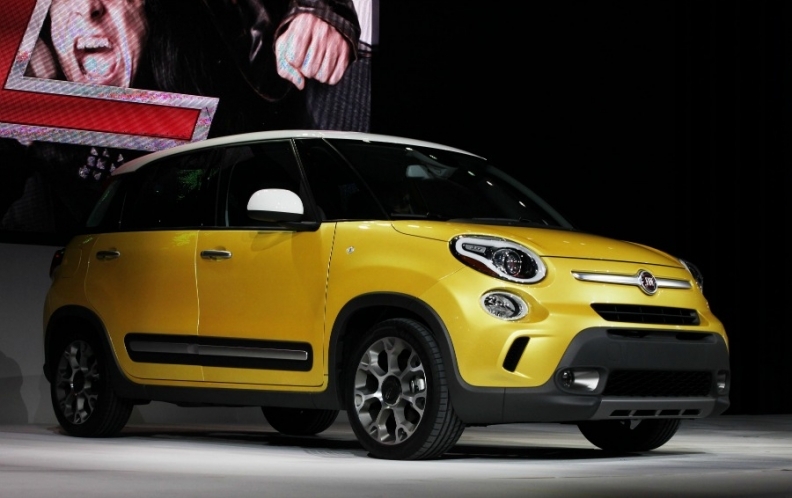 The 500L Trekking was unveiled a the Los Angeles auto show on Wednesday. It offers higher ground clearance, bigger wheels, rugged wheel arches and an electronically controlled front differential that increases traction on slippery surfaces. "We think the Trekking version could cover up to 50 percent of 500L sales in the United States compared with about 15 percent we expect in Europe," Fiat brand global head Olivier Francois told Automotive News Europe. Fiat introduced the standard 500L in Europe in September. The Trekking variant will have its European debut at the Geneva auto show in March, ahead of sales in April. In the United States, both 500L variants will launch simultaneously in July. Fiat has not announced U.S. pricing yet. Francois said it is difficult to predict U.S. sales for the 500L, adding that the model has no direct competitors in the market. "A reference point could be the Mini Countryman, which in the U.S. sells about 20,000 units a year, but we could even double that volume if we find the right positioning," Francois said. Fiat builds the 500L for global markets in Kragujevac, Serbia in factory that once built Yugo cars. The plant has been upgraded with a 1 billion euro investment.